Okay, okay – you haven’t made any Valentine’s plans yet? Yes, I am slightly judging you, but never fear – I have all the BEST places to dine on this annual day of luuurve thanks to American Express® who have scoured the land to uncover a handful of unique romantic experiences to make this year’s Valentine’s Day a night to remember. Chef Beatrix Thornhill has created a tantalising four-course menu according to the theme, Shakespeare in Love, at this American Express restaurant merchant. Tickets are available at R 599 pp and this also includes a 750ml bottle of Italian bubbles along with the meal which starts with a tapas course titled The Tempest (including Carrot and Sesame Fritters with cashew nut dripping, a deconstructed Avo Ritz and Wild Mushroom choux puff). 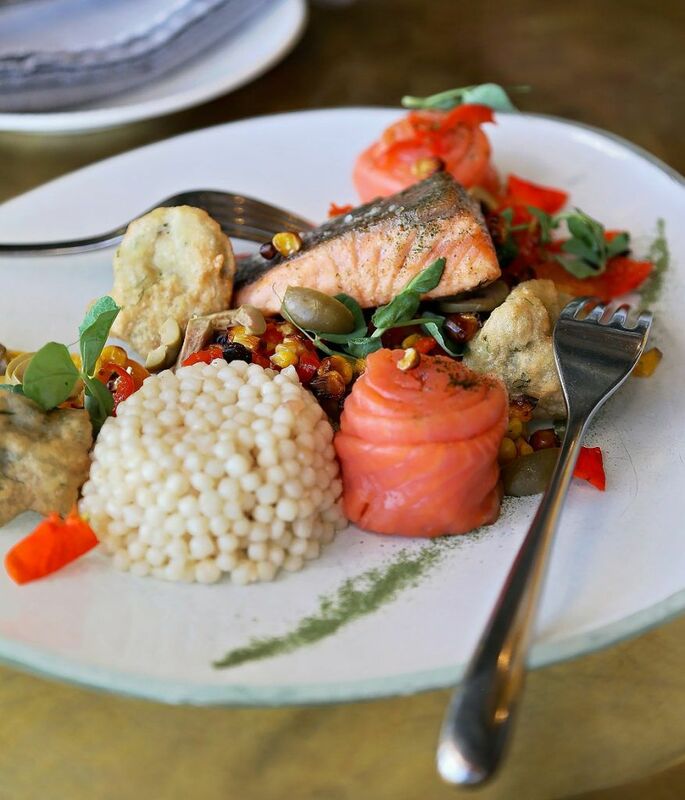 This is followed by an Israeli Couscous Salad featuring olives, sweet corn, smoked salmon and tempura artichoke hearts before mains of Grilled Seabass served with edamame risotto or Springbok Wellington with rosemary baby greens, balsamic beets and black cherry juice. Dessert? Aptly titled All’s Well That Ends Well, expect a Chocolate and Red Velvet Delight. The Winehouse at chic boutique hotel Ten Bompas in Dunkeld West is the perfect locale in the hustle and bustle of Joburg. Head Chef Johannes de Bruijn, has built this restaurant into a cult favourite on the Jozi foodie scene and for Valentine’s Day, you can be assured of an inventive gastronomic feast. The Valentine’s Day menu spans an extensive 9 course-tasting dinner for R750.00 pp including food, tea and coffee and gratuity. And if you would prefer making the occasion even more special, consider staying at the hotel for the night – at a rate of R4,400.00 for suite you can savour a welcome bottle of sparkling wine, the tasting-dinner in your suite or in the restaurant and a romantic breakfast with a bottle of sparkling wine in the hotel garden the following morning. 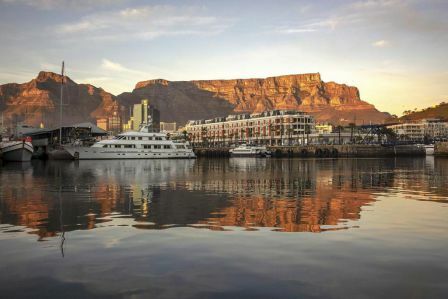 The iconic Cape Grace Hotel located on a private quay in Cape Town‘s V&A Waterfront is calling those who adore the fusion of international and local flavours in a sophisticated and unhurried atmosphere, to experience their Signal restaurant this Valentine’s. For R 1 650.00 pp including wine or R1 250.00 pp excluding wine, guests can expect an extraordinary taste sensation including Prawn Lollipops with smoked potato parmesan, beetroot and goats cheese salad; Tuna Tartare and a Strawberry Sorbet palate cleanser before a choice of Confit Duck with potato galette, cherries and turnips or Dry Aged Rib Eye featuring whipped miele pap, maple glazed carrots and coffee jus. Dessert is Raspberry Parfait with vanilla crème, litchi gel and rose ice cream while tea or coffee is served with friandise. Cape Town’s 95 Keerom is synonymous with simple Italian cuisine created with fine dining flair. And its elegant décor and intriguing history, originally housing the stables and slave quarters of the Company Gardens, provides the perfect setting for a night of romance. The restaurant is offering either the choice of an a la carte or a three course set menu with a glass of Moet & Chandon Imperial Bruit for Valentine’s Day. The set menu features a delicious avocado, rocket, tomato, blue cheese, fresh pear, walnut, olive oil and salt and pepper salad starter, while for main the restaurant is offering Il Pescato del Giorno alla “95” (line fish of the day, done in its signature style) while chocolate lovers will be pleased with Il Fondente al Caioccolato, the dark Italian chocolate hot fondant with a delectable liquid chocolate centre dessert to finish. 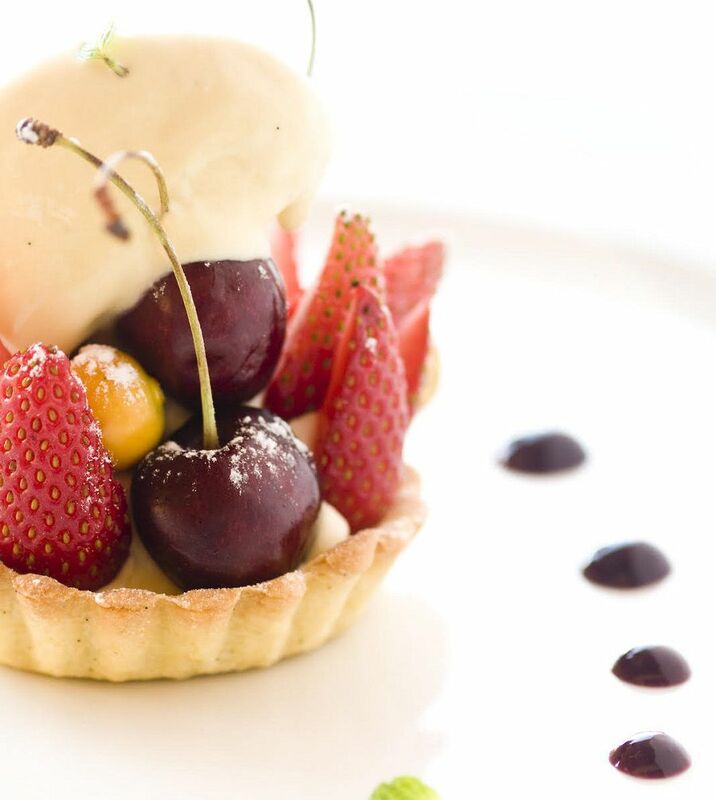 Multi-award winning 9th Avenue Bistro is nestled in the Avonmore Centre in Morningside, Durban, and always place the emphasis on fresh and creative cuisine, and its special Valentine’s menu, at R 650 pp, is a testament to that. Couples will be welcomed with a Sparkling Raspberry Gin Fizz served with blini, sour cream and olive crumble before a choice of appetizers including fresh Burrata with figs, brown sugar and hazelnuts and Gin Cured Salmon with Crème fraîche, homemade seed loaf and dill cucumber. If you are in The Free State then landmark De Oude Kraal Country Estate which is just 35km south of Bloemfontein, and boasts its own private airstrip and helicopter landing pad to ensure you can make a grand entrance is the place to be! The estate’s restaurant has turned to ancient Roman times for a Valentine’s Day feast with a difference. With the theme, Romantic Roman, they are serving a fine dining 7-course dinner inspired by Roman feasts and featuring aphrodisiac elements such as oysters, fresh figs, watermelon and pomegranate, saffron, asparagus and chocolate. The dishes, specially created by chef/owner Marie Lombard, daughter Marie-Louise Nel and their team, start with a welcome glass of bubbly and cost R750pp.